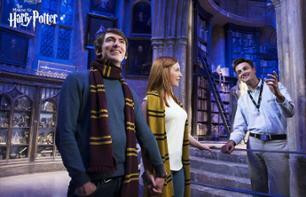 Harry Potter to see London | Book now! 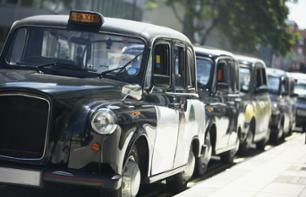 Follow in the footsteps of the most well-known sorcerers and embark upon this taxi tour of London! Visit Diagon Alley, the Ministery of Magic, without forgetting of course Platform 9¾ and more: this tour is just magic! Take advantage of your stay in London to visit the Harry Potter studios and travel by bus in comfort! Sells out fast! Leaving from London, come and visit the Harry Potter studios and see what happened behind the scenes during the filming of the Harry Potter movies. 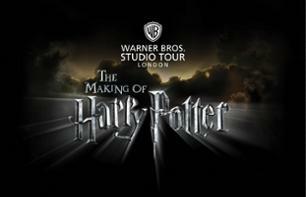 Visit the Harry Potter Studios, leaving from your London hotel! Spend a morning discovering the “Warner Bros Studio Tour: The Wizarding World of Harry Potter”, and be transported into the magical universe of the world’s most famous wizard! Enjoy a visit the the Harry Potter studios. Discover the filming location and magical universe of the movies!